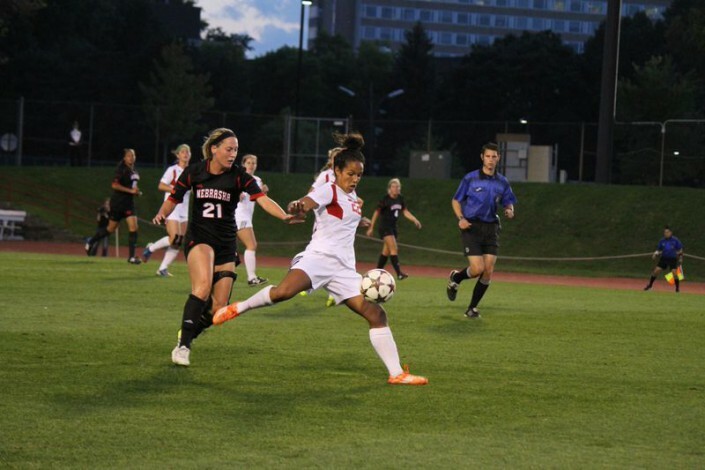 When the University of Wisconsin women’s soccer team took the field for the first time in the 2016 season, something was different. The team that won the regular Big Ten Championship just a year ago was missing something. That something, or some things, was seven starters. 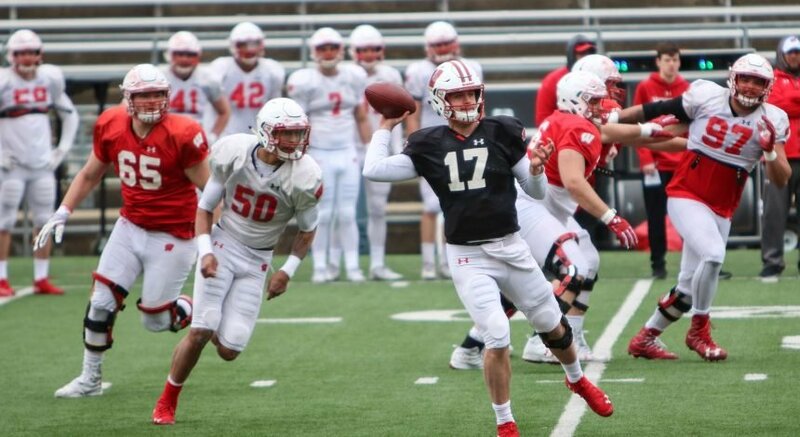 Graduation was not kind to the Badgers last spring, leading many to believe repeating the feats of last season would be a long shot. Wisconsin started the season off on the right foot taking the first game against Illinois State University, 1-0. The unlikely hero in the victory was freshman forward, Dani Rhodes. 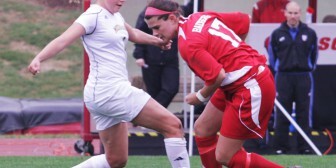 In her first game as a Badger, Rhodes scored Wisconsin’s first goal of the season 2:21 into the game, which eventually proved to be the game-winner. The Badger offense was held in check for that game and scoring struggles would loom over Wisconsin as the season went on. After their 1-0 season opening victory, the Badgers went on a five-game winless streak, which gave them a record of 1-2-3 with only four goals in the five-game span. Even without a great start, Rhodes picked up on the team attitude that seemed to spread through the locker room and transferred to the field. Maybe it was the Badgers’ lack of scoring, but it is entirely possible that the schedule had something to do with Wisconsin’s early struggles. In both non-conference and Big Ten play, the Badgers faced numerous ranked opponents including No. 1 Stanford University, No. 5 Notre Dame University and No. 22 University of Minnesota. Despite the difficult schedule, Wisconsin stayed in every game, not losing a single match by more than one goal and eventually started to gain momentum and get in a winning rhythm. Winning their last two non-conference games in shutout fashion, Wisconsin went into Big Ten play with a record of 3-2-3. The Badgers started conference competition 1-2-1 in their first four games losing to No. 16 University of Penn State and tying No. 19 Ohio State University. That stretch would be the last difficult stretch for Wisconsin. The very next game, the Badgers took to St. Paul University and bested the-then No. 8 Minnesota Golden Gophers, winning 1-0 in overtime on another Dani Rhodes game-winner. For the rest of the regular season, Wisconsin did not lose a game. A big role in UW’s seven-game lossless streak in which they went 4-0-3 was goalkeeper Caitlyn Clem. Having played every minute this season, Clem recorded a phenomenal season. Allowing an average of .77 goals per game, Clem posted a .795 save percentage along with 62 saves and eight shutouts. Four of those shutouts from Clem came during the streak. Another key component in Wisconsin’s success came with senior midfielder, Rose Lavelle. Prior to the start of the season, Lavelle was named the number one player in the country by Top Draw Soccer. Lavelle led the team in goals with five and was second in assists with four. Tied with fellow senior midfielder, Micaela Powers, with 14 points, Lavelle rattled off 69 shots this season, which is 30 more than any other player on the team. Lavelle’s 29 shots on goal also lead the team. The Badgers earned the five seed for the Big Ten Tournament after defeating then-No. 23 Rutgers University at home. Wisconsin would see the University of Michigan Wolverines in the first round of the Big Ten Tournament. In their previous meeting this season, the Badgers forced a 1-1 tie in Ann Arbor when Michigan was ranked 25th. The game went into overtime tied at one apiece and would have to go to penalty kicks to decide the winner. In the shootout, Wisconsin eventually fell to the Wolverines 4-2, resulting in elimination from the Big Ten Tournament. In a surprise turn, the Badgers got a bid to the NCAA tournament Monday for the first time since 2014. UW-Madison will host in-state rival Marquette University in the first round at home on Friday. The game with the Golden Eagles kicks off at 7 p.m. at McClimon Soccer Complex in Madison on Friday.